Hartlepool remains at the top nationwide for the proportion of people claiming jobless benefits. In Hartlepool there were 4,125 people claiming jobless benefits in December, which accounts for 7.2% of the working age population in the town. It comes despite the figure falling from 4,150, when it also stood at 7.2% of people of working age, when compared to November's figures. Now job hunters have the opportunity to find out more about a wide range of vacancies when an employment fair takes place in Hartlepool this week. Hartlepool Borough Council is working in partnership with the Department for Work and Pensions (DWP) to stage the “jobs extravaganza” at the Best Western Grand Hotel on Thursday, February 14, from 9.30am-1.30pm. A range of employers covering a variety of sectors, including construction, care, production, cable pulling, factory work, taxi driving, security, admin, IT and manufacturing will be present. There will also be information and advice on apprenticeship opportunities. Representatives from the National Careers Service will be in attendance to offer a range of support to job seekers to enable them to compete effectively in today’s labour market. The free event is being held on a drop-in basis. 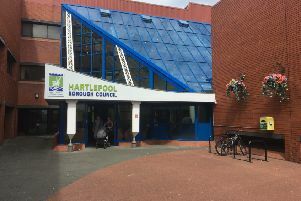 Councillor Kevin Cranney, chair of Hartlepool Borough Council’s Regeneration Services Committee, said: “The council has an on-going commitment to get people into good quality employment or training. “Similar previous events have proved to be really successful and I expect this to be the case again. The latest figures from the Department of Work and Pensions also show that there were 2,860, 5.5%, claiming the benefit in the Easington constituency area, which includes Peterlee, Horden, Easington and Blackhall. There were 2,650 claimants, 4.6%, in the Stockton North constituency, which includes Billingham, Wynyard and Wolviston, and 1,935, 3.8%, in the Sedgefield constituency.